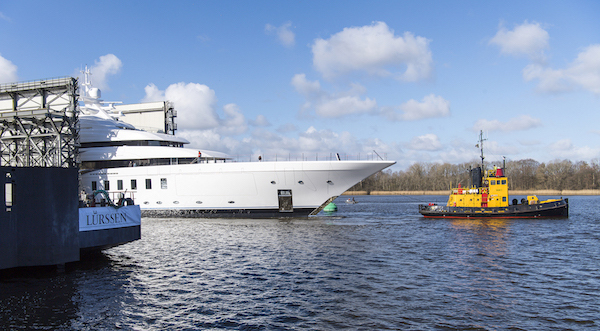 Lürssen, the German superyacht building behemoth, has announced the launch of 95m Madsummer, formerly referred to as project Fiji. Her keel was laid in 2016 and she is scheduled for delivery in summer 2019. Harisson Eidsgaard has, according to the yard, designed a vessel with “harmonious proportions and, with a length of 95m and a 14m beam, she boats extraordinary volumes whilst still maintaining sleek and very elegant lines. Among Madsummer’s many noteworthy features are a large beach club and spa area with a sea terrace on the lower deck. On the upper deck aft, there is a walkable skylight and an integrated fireplace for the evening dinning and entertaining. The sun deck aft offers a hidden crane in the bulwark to handle an aeroboat. 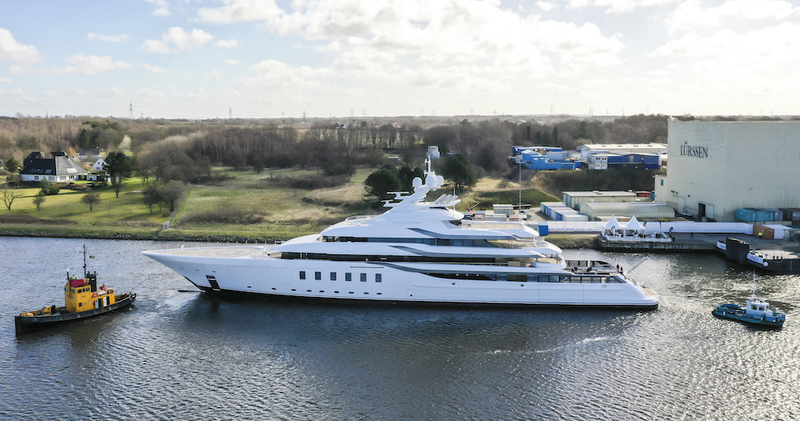 According to SuperyachtIntelligence, since 2009 Lürssen has delivered at total of 27 superyachts, with a further three deliveries scheduled for 2019, following the delivery of 136m Flying Fox earlier this year. 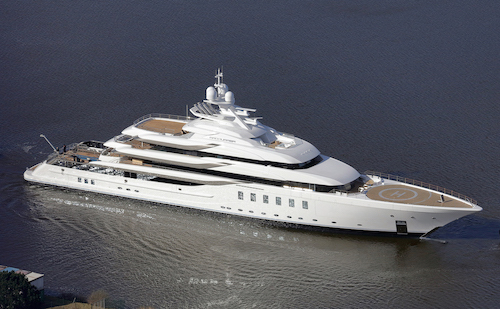 On average, Lürssen is delivering 2.7 vessels per year. 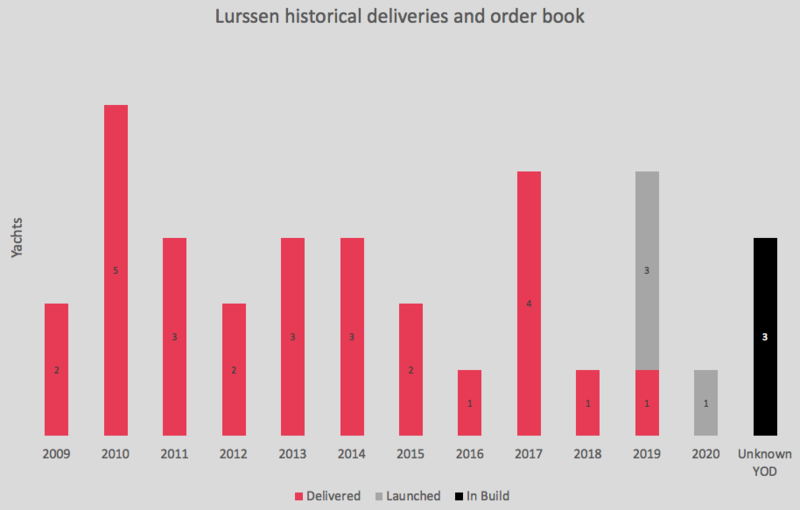 With Four total deliveries scheduled for 2019, this year will prove to be one of Lürssen’s strongest to date. 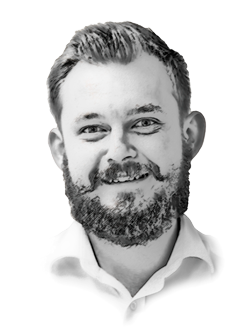 For more information the new build market, click here to get your copy of The New Build Superyacht Report, within which we use a variety of metrics to analyse the performance of new build market's various sectors.